American goaltender who began his career in 2005 with the MetroStars. 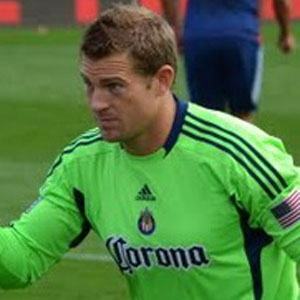 He spent a season with the Puerto Rico Islanders and Municipal Iquique then joined Chivas USA in 2008. He played college soccer at UC Santa Barbara from 2001 to 2004. He was named the Chivas USA Player of the Year in 2011. He was born to Bill and Terry Kennedy. He first played in the MLS with the MetroStars who eventually became the Red Bulls, where Thierry Henry began his MLS career.